We deliver DofE expedition training and assessment across the UK for schools and groups; specialising in hiking and canoeing. We have extensive knowledge of all main expedition areas across the UK, and currently deliver walking expeditions from the South Downs to the North York Moors to Snowdonia National Park. We can deliver Bronze, Silver and Gold canoeing expeditions from locations in the Southeast to the River Wye in Wales or the River Spey in Scotland. In consultation with our team we can organise an expedition for you anywhere in the UK. Our bespoke programmes for SCHOOLS AND GROUPS follow the DofE training framework, which fully prepares the young people for their expeditions. We can provide a full package; delivering the complete programme, from training through to qualifying or it may simply be the provision of additional staff for safety and back up support during training, practice or assessed expeditions. Throughout any programme, we are on hand to help in school, meet participants, deliver parents evenings and answer questions. We provide assistance with paperwork according to the requirements of your school and operating Authority. We also undertake site specific assessments of campsites and routes and will provide risk assessments for all expedition locations used. We pride ourselves on the quality of our staff, all of whom are highly qualified and experienced outdoor professionals. All staff are fully up to date on the syllabus and requirements of the Expedition section; including the 20 conditions. The staff build great rapports with the young people in their care; we believe this is important to the eventual success of any expedition. FOR INDIVIDUALS we can also offer open awards; where you can arrive on your own but still participate as part of a group; please see the individual awards for dates and costs. We have set areas and dates used for each level of the award and all our expeditions are run in line with The Duke of Edinburgh’s Award Expedition section guidelines. Let us organise everything, so you can relax in the knowledge that you need only complete your journey. Paddling expeditions are an increasing popular alternative to walking. A paddling expedition gives an entirely new perspective on journeying. One element that is attractive to many of the participants is the fact that they do not have to carry a rucksack on their back. We also provide all of the water sports equipment, barrels and dry bags for the journey; meaning less equipment needs to be purchased to complete the expedition by the participants. In fact, most participants can complete a canoeing expedition without the need for any extra equipment purchase. 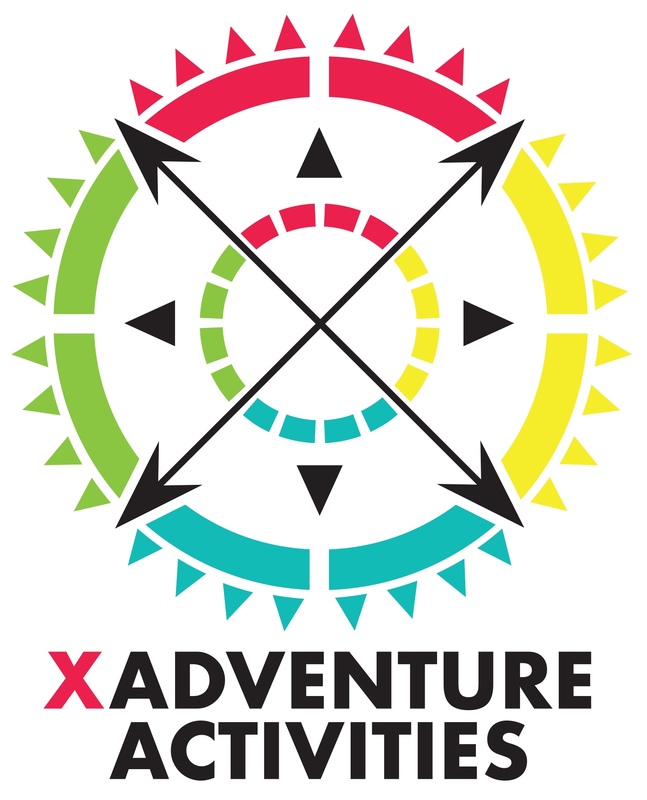 X Adventure uses very stable and roomy open canoes; that are ideal for expeditions, usually carrying two or three people (with kit and equipment). The level and duration of training may need to be extended dependent on the group’s ability and experience and the grade of the River paddled; likewise participants with proven paddling experience or having completed a Silver canoeing expedition may have a reduction in training. The overall cost would be reflective of this. What is included on every canoe expedition? ● DofE Expedition presentation to parents and young people at a location or venue suitable to you. ● Comprehensive pre-expedition paperwork for participants and parents; including consent forms, kit lists, Q and A’s. ● All health and safety paperwork completed; including risk assessments. ● Pre-checked routes, rivers and campsites by experienced and competent staff. ● Advice on what River would be suitable to the level of the award and experience of the participants. ● Assistance with expedition paperwork; including OP notifications and green forms. ● Supervision throughout the expeditions from experienced, friendly and reliable instructors. ● Help and advice for the young people and parents throughout the expedition process. Bespoke costs for groups only looking for training or just one or both expeditions provide. Please contact us for my details or to make a booking. Walking is the main stay of the Dofe awards and still remains the most popular way of completing an expedition at each level of the award. We will design a programme of training and expeditions especially for your DofE group at either BRONZE, SILVER or GOLD. We will work with you to choose a suitable location for your group and ensure that our comprehensive approach makes the whole process for group leaders as easy as possible. You may be looking for something in your local area or you may want to visit a new and more adventuorus location. We can deliver the expeditions in many areas of the UK and have experience from the South Downs, North Wales, The Peak District, Dartmoor, Thetford Forest, Ashdown Forest and the Highlands of Scotland. The level and duration of training may need to be extended dependent on the group’s ability and experience, the locationa used and the level of the award; likewise participants with proven walking / navigation experience or having completed a Silver walking expedition may have a reduction in training. The overall cost would be reflective of this. What is included on every walking expedition? ● Advice on what location and route would be suitable to the level of the award and experience of the participants.